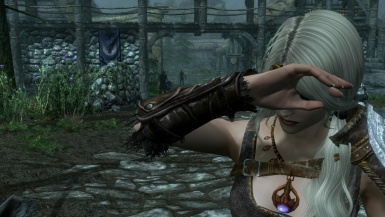 This simple mod enables your Dovahkiin to greet someone or play relaxed idle (in vanilla). Invoke lesser power 'Dovahkiin's Relax' by shout button, and your character will play idle with something in front. Package Fix: Mistakenly included SkyUI's script was now removed. Enhance: You are now asked what to do when sneaking or greeting to someone. Adjustment: Accordingly, Lazy Man & Pilgrim's Faith power works deterministically when you are in sneaking. Always lie down or always meditate. 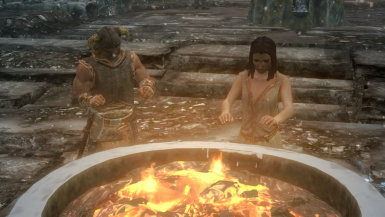 Enhance: Easy support for Dragonborn DLC and Dawnguard DLC fires & beds & chairs. Bug Fix: Now you revert to sneaking stance from cross-legged sitting and lay down position. 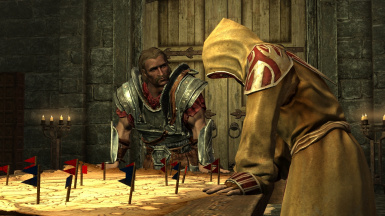 Enhance: added motion of leaning on tables with map. Bug fix: you will no longer stuck in bar counter waiting. Bug fix: you will no longer have to dance throughout all songs that bard sings. Enhance: Idle control functions added. Bug fix: Warp in the Frozen Hearth eased. Fix: for possible crash (no code modification). Enhance: Idles in High Hrothger, and market study. Bug fix: for extraordinary heavy idlers. Enhance: Pray and ledge sit. Bug fix: corrected heading issue of sleeping on bed. Adjustment: possibilities of laying down and greeting revised. Packaging form has been changed from loose zip to bsa archive. Remaining older scripts causes glitch. Clean saves are unnecessary. thankfully provides practical messageBox interface. Excellent! I am very tired of seeing Dovahkiin stand with nothing to do. 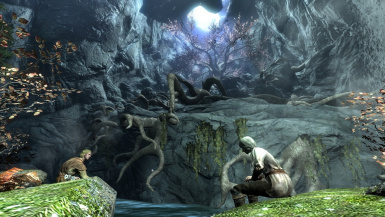 or why I cannot take a bath in hot spring near Darkwater Crossing. Maybe there are similar mods somewhere but I cannot find out. I just share this for someone's convenience. There are 2 kinds of powers. One is to relax, the other is to customize. Just invoke 'Dovahkiin's Relax' by shout button. It's safe to invoke the power in city since it's silent. Invoke and relax, then invoke and start off. 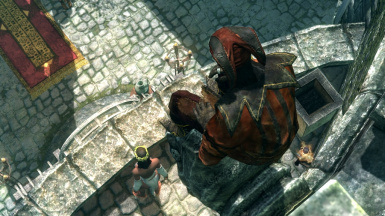 What happens will vary by what your Dovahkiin is facing in front. you will bash your shiled with your weapon. you will stretch or blow horn if you belongs to civil war faction. prompt will show up asking if you want to greet to him/her. you will warm hands. If there is a bard singing, you will dance. you will sit down and eat/drink something (pretendedly) or read some book. Caution - It's never comparing to great SeeYouSleep. Just for tasting. you will sit down on them. you can also lean on it if not used. you can also wait there if not used. you will pray (raising your arms in front, standing) there. Perhaps you can cooperate with Heimskr. you will lean on the table and investigate the map. you will feed them. At first you will greet to them. Never mind. Talk to animals. you will hoe around them. reading books or notes, or eating/drinking something (pretendedly). Use following switch power. Also see decription in game. DRT: Lazy Man - You will always lie down if you use the power while sneaking. 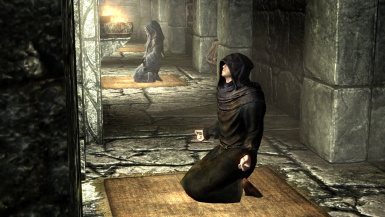 DRT: Pilgrim's Faith - You will meditate if you use the power while sneaking. With Lazy Man combined, action is randomly determined. DRT: Reticent Man - You will not greet. DRT: Touchable Affection - You will hug your spouse if your spouse can respond. DRT: Tough Face - You won't sweep floors, feed chickens, hoe around crops. You will clean your sword or just stand crossing your arms instead. These powers will be added automatically in few minutes from game start. - You can cancel almost everything by SHOUT AGAIN or JUMP key. Unequip and re-equip your weapon if you have stuck with your weapon in your hand. - Change your camera to 3rd person view by your own. I don't want to lock your camera, nor disable your control. Doing them from script sometimes invoke bugs of Skyrim. - WARNING: DO NOT TRY SLEEPING ON BEDROLLS IN SMALL TENT. Your camera cannot work properly there (since normally you cannot enter there). but extra care is needed to build your immersion with campsite mods. or purchase it at general store, such as Belethor's General Goods Store. Search 'Packed Bed Roll'(xx005e34) there. To use portable bedroll, follow procedure below. (1)Drop 'Packed Bed Roll' to the ground. Place it where you want. (2)SNEAK activate it. Actual 'Portable Bed Roll' will be rolled out. (3)Sleep by relax power or normal activation. If you sleep with activation, it will work like SeeYouSleep. (though the crosshair is invisible - look down and press 'E'). (4)SNEAK activate 'Portable Bed Roll' to pack it again. Dovahkiin Relaxes Too from Mod Configuration Menu in System Menu. configuration powers in your spell list. Copy all files in archive into <YourSkyrim>/Data folder. Then run the launcher. See Data Files, and make sure following modules are checked. If you still have crashes by this configuration, change 'Load Order' of dovahkiinrelax as top or bottom. 2016.11.12 - Ported to Skyrim Special Edition. 2013.2.15 1.6 - Package fix: excluded SkyUI's script. 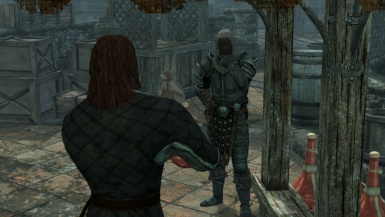 Enhance: Introduced prompt for sneaking and greeting. Adjustment: LazyMan & PilgrimsFaith work deterministically, not random. Bug fix: Correctly revert to sneaking position. 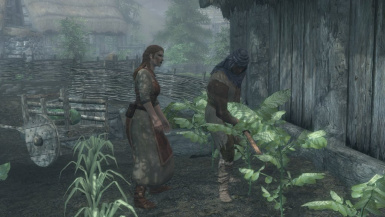 Enhance: Fix for fires&beds&chairs in Dawnguard & Dragonborn. 2013.1.19 1.5 - Enhance: MCM support, leaning on table, dance toward singing bard, aborting dance. 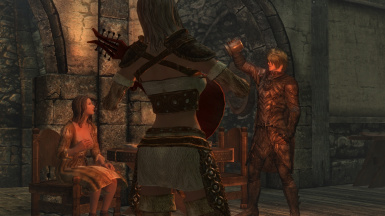 Bug fix: bar counter stuck, consequent bard song stuck. 2012.4.9 1.4 - Enhance: Idle control function, Combat idle. 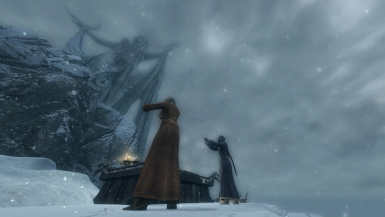 2012.4.2 1.3 - Bug fix: Winterhold warp and possible crash. Enhance: HighHrothgar courtesy and market study. 2012.3.31 1.2 - Bug fix: for extraordinary heavy idlers. Enhance: Pray and ledge sit. 2012.3.30 1.1 - Bug fix: opposite heading sleeping on beds. Skyrim Mods Weekly featured this mod. I link it here based on agreement with its author. 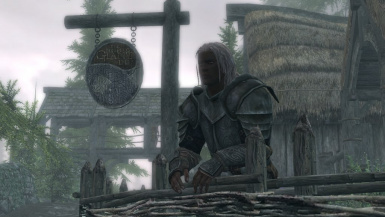 Skyrim Mod Series also featured this mod. I link it here based on agreement with its author.